Fanfare Spring Concert - this Sunday at 2 pm! Please come join us at our Spring Concert! It's at the Sacred Heart Church in Saulnierville. Time 2 pm Sunday. Lucky for me, our fine corps of musicians will also be playing my new and fresh arrangement of the TV theme song Get Smart. Tuba, Drums, Flutes, Trombones, Trumpets, Percussion, Saxes and Clarinets, all lined up to find the perfect balance between KAOS and CONTROL. Could you ask for a better Cone of Silence? 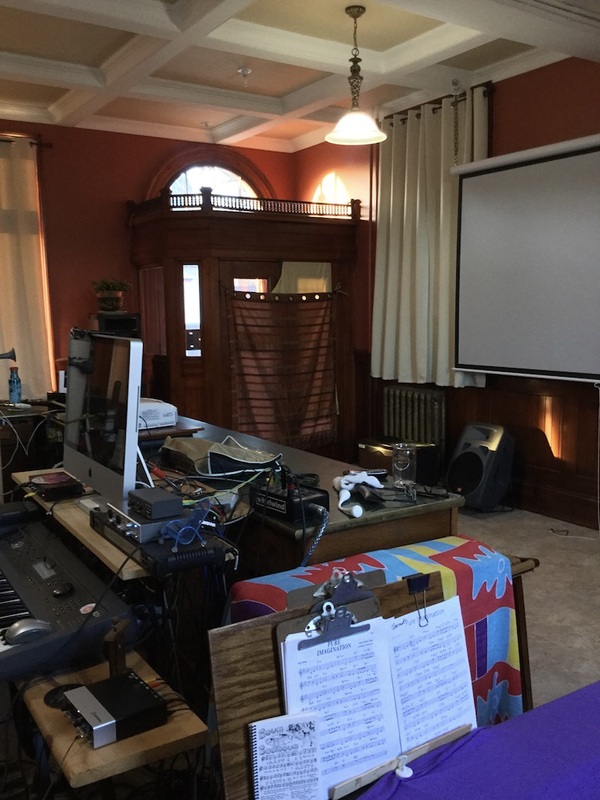 Mazel Musical Arts Society regrets to announce that our music school and studio will be closed for spring classes due to fire damage from a large fire across the street that took down two buildings last August. We hope to reopen in time for this summer’s aspiring musicians sessions. Music Literacy is more than reading music. Why is Duke Ellington Important? Renowned Canadian architect JC Dumaresq designed the building and it is one of his last commissions. Dumaresq was the principal designer of Dingle Tower in Halifax among numerous other architecturally significant Canadian buildings. Service, Mr. Dumaresq believed, was architecture's guiding principle – that and the customer is always right. "Tell us what you want and we'll conceive it," he told Halifax Magazine. "Of course it takes more than one try [to get it right] … it's all about accomplished dreams." Mazel Musical Arts Society music school and studio music space is housed in the historic Royal Bank of Canada (RBC) Building of Weymouth, Nova Scotia. A beautiful, understated landmark constructed in 1906, the RBC Building was one of the first Royal Banks of Canada in Nova Scotia. Before opening Mazel Musical Arts Society, we restored and renovated the building working to preserve its architectural character. Our building is not just a wonderful space to look at. It is an acoustically magnificent building too. It's unobstructed tall ceilings and stone and brick interior help to create a fantastic sound when musicians play here. Click here to help us make the necessary repairs in time for our summer events. We will send you a receipt by Canada Post.